I was out for a dive not too long ago hoping for some beautiful Kingfish Sashimi to grace the menu. Unfortunately the only Kings we saw were undersize. A few scary moments when a dolphin crashed the bait school I was swimming in had me looking for some cleaner water and some cleaner underwear. The day was getting on so I abandoned the Kingfish idea and started looking for more humble table fare. I started noticing a few leatherjackets about. These are a trigger fish. We have a few different types in NSW. Some great eating and some not so much. The six spine leatherjacket is high on the list of table fish. Its easy to process too. One cut behind the head and you are able to remove the head and guts in one pull. Next the skin can just be ripped off just like a jacket. Hence the name.This leaves a nice clean fish ready for filleting or cooking whole. Before long I had shot six of them and that was enough for a couple of great meals. I left the rest in peace and headed for the boat. I got a bit over eating jackets till I ate them at a cafe once. They actually filleted them. I used to cook them whole. From that moment on it was fillets only. 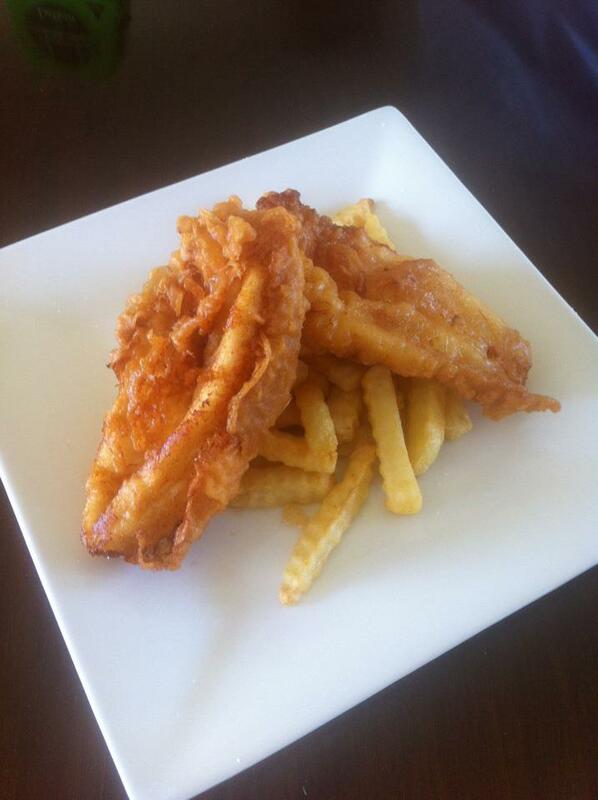 A simple beer batter of which there a zillion recipes and served up with some chips and you have a meal fit for a king! Unfortunately I was in a rush and had no time to cut my own chips so just used the packet ones. Guilty as charged. 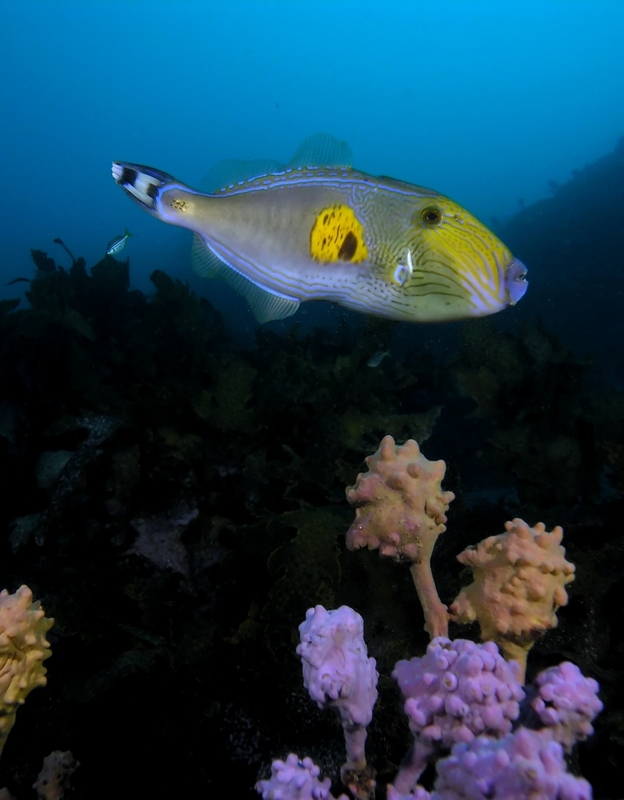 Next time you are out for a dive or linefishing don’t discount the humble leatherjacket as a quality table fish. This entry was posted on May 1, 2013 by gourmetandy in Interesting bits and bobs and tagged fishing, gourmet, hunters, hunting, leatherjacket, nsw, six, spear, spearfishing, speargun, spine.